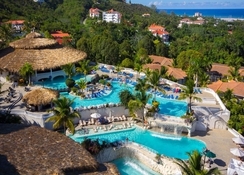 Cofresi Palm Beach & Spa Resort is an all-new all-inclusive resort set in El Cofresí in the Puerto Plata of the northern Dominican Republic coast. Nestled a stone’s throw away from the lovely Cofresi beach. 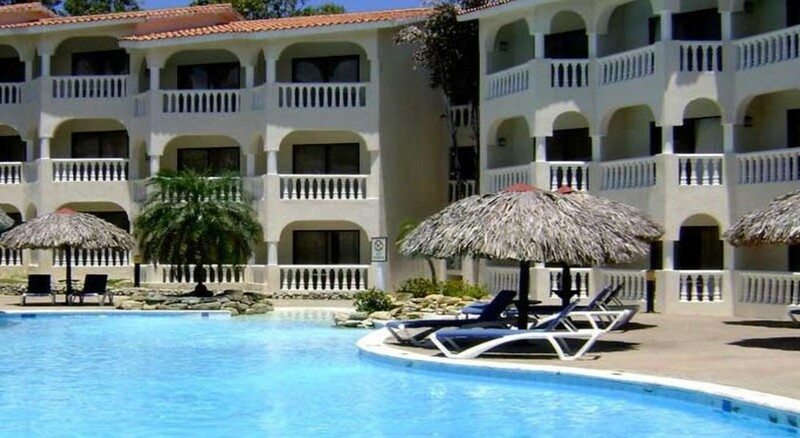 The all-inclusive hotel with its well-furnished rooms and warm hospitality invites guests to enjoy a home away from home while enjoying their Cofresi beach vacation. The hotel features an year-round outdoor pool and terrace, there is a lovely spa with hot tub where guests can enjoy rejuvenating treatments and there is a range of delicious cuisine to sample at the restaurant or sip a cocktail at a bar. 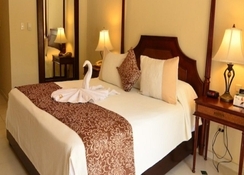 The hotel has a 24-hour front desk, hairdresser's, cash machine and offers babysitting service. There are facilities for golfing and snorkeling in the vicinity. The resort also offers free use of bicycles and car hire. 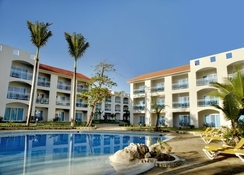 Cofresi Palm Beach & Spa Resort is nestled along the Cofresi beach. While Cabarete is 34 km, Sosúa is 24 km, and San Felipe de Puerto Plata is 6 km. There are good restaurants, cafes and bars nearby. There is also a golf course and facilities for snorkeling nearby. It is 19 km away from Aeropuerto Internacional Gregorio Luperon Airport. Cofresi Palm Beach & Spa Resort is a beautiful all-inclusive resort that has 208 family friendly standard rooms, 180 Oceanside guestrooms with king and double beds, 18 exclusive adult only Spa Suites, 2 spectacular Ocean view Penthouses and 60 guestrooms for long term rentals. All the air-conditioned rooms are furnished in contemporary décor and come with marble ﬂoors, marble bathrooms, ceiling fans, ﬂat-screen TVs and hair dryers, safes and mini-bars. Some rooms may have small kitchenettes, terrace or balcony, jetted tubs in unit. 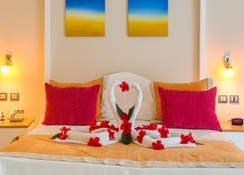 Rooms come in categories like Superior or Junior Suite. The hotel has few fine-dine themed restaurants in-house, guests may enjoy an incredible journey at the lovely restaurants in sister hotels nearby. The hotel’s own a la carte and buffet restaurants figure among the best in Puerto Plata, be it Johnny’s (International Cuisine), Moomtaz (Indian Cuisine) – Cofresi Palm, El Pilón (Authentic Dominican Cuisine) –– Beachside, Moonlight (International Cuisine) –– Beachside (Seasonal) and Rodizio (Brazilian Churrascaria). There are also lovely bars to relax with drinks and cocktails at Cheers (Cocktail Pool Bar) –Pool Bar, Frost (Frozen Drinks Pool Bar) – and Pirates Cove (Whiskey Bar) – Cofresi Palm Beach Bar. Cofresi Palm Beach & Spa Resort has a year round outdoor pool and terrace where guests can have splashtastic fun. Facilities for non-Motorized Watersports and a variety of sports like Archery, aerobics, table tennis, tennis , Kayaks, sailing and windsurfing are available. The hotel offers bike and car rentals too. The hotel has a nightclub Lights, Camera and Action where guests may let down their hair.